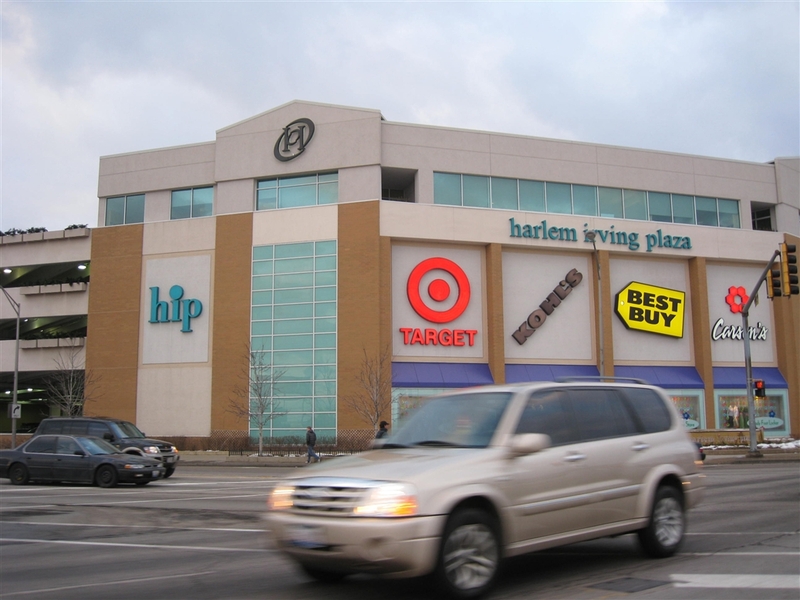 One of the oldest malls in the Chicagoland area, Harlem Irving Plaza (also known as ‘the HIP’) is also one of the last independently-owned and operated regional centers in the entire country. During its 5+ decades in existence, Harlem Irving Plaza has gone through only minor changes yet it remains extremely viable today, serving a densely populated area of inner-ring northwest suburbs and a large portion of the city of Chicago. Harlem Irving Plaza is located in the small island-suburb of Norridge. 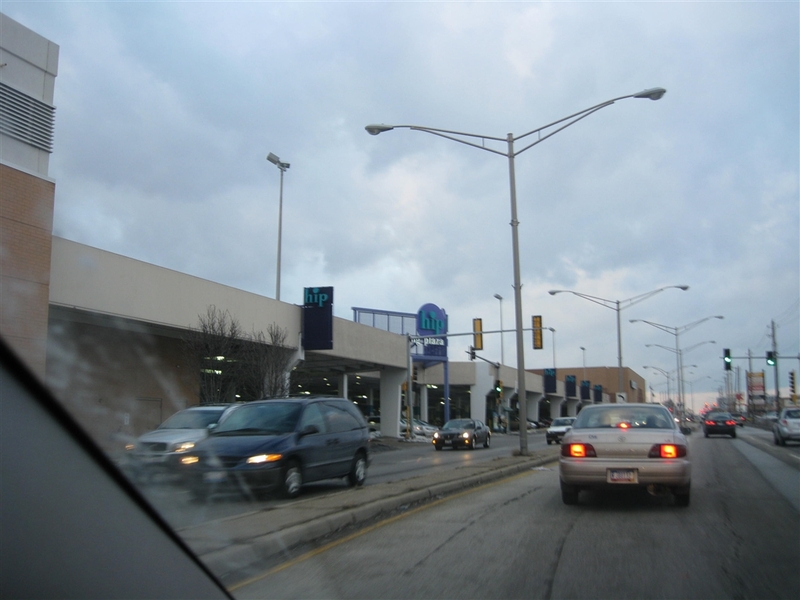 Norridge, and neighboring Harwood Heights, are small incorporated communities completely surrounded by the city of Chicago, on Chicago’s far northwest side near O’Hare Airport. Both Norridge and Harwood Heights were incorporated in 1948 as a measure to protect these areas from becoming the city of Chicago, which was quickly encroaching and about to annex these areas for itself. Most of the development in Norridge took place following incorporation, in the 1950s through the 1970s. A major development in Norridge occurred with the opening of Harlem Irving Plaza in 1956. Aptly named, Harlem Irving Plaza sits on the corner of a major intersection – N. Harlem Avenue (Route 43) and Irving Park Road (Route 19). 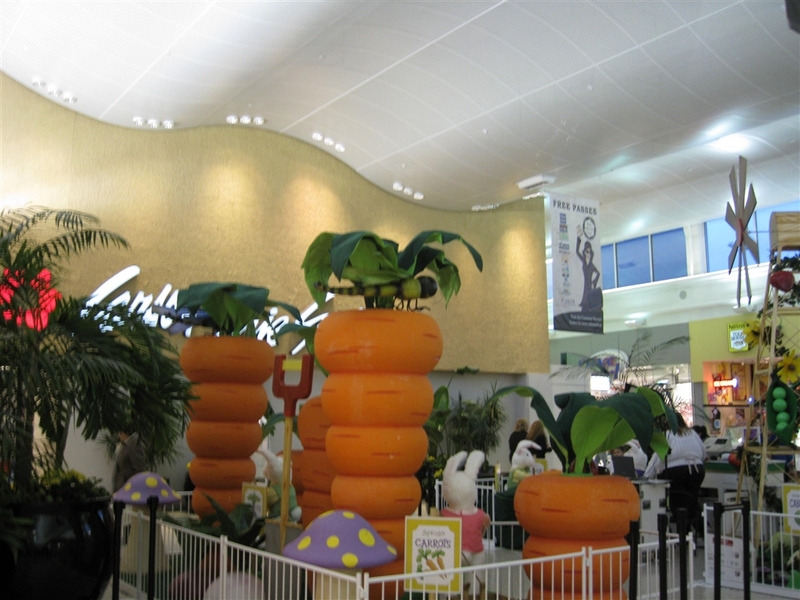 When the Plaza opened, it was not enclosed and consisted of 45 stores anchored by W.T. Grant, Kroger, Walgreens, Wieboldts, and Woolworth. Not much changed at the Plaza between the mid-50s and the mid-70s as Norridge filled in and became almost completely built out. 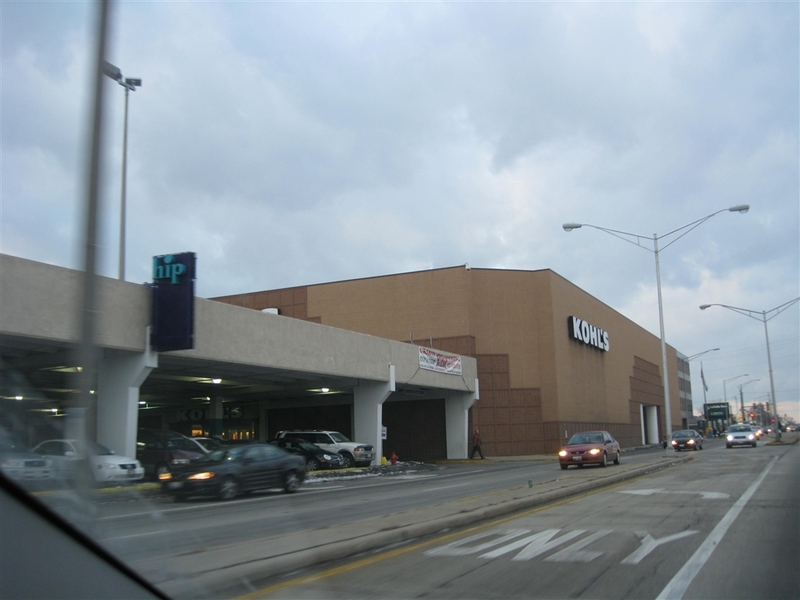 In 1975, as part of a larger nationwide trend of enclosing large, outdoor plazas into climate-controlled malls, the Plaza’s owners embarked on a four-year project to enclose the mall and, in the process, add a large parking deck. The bulk of this structure is what is seen today at the site, and in 1979 Madigan’s was added as an anchor store. 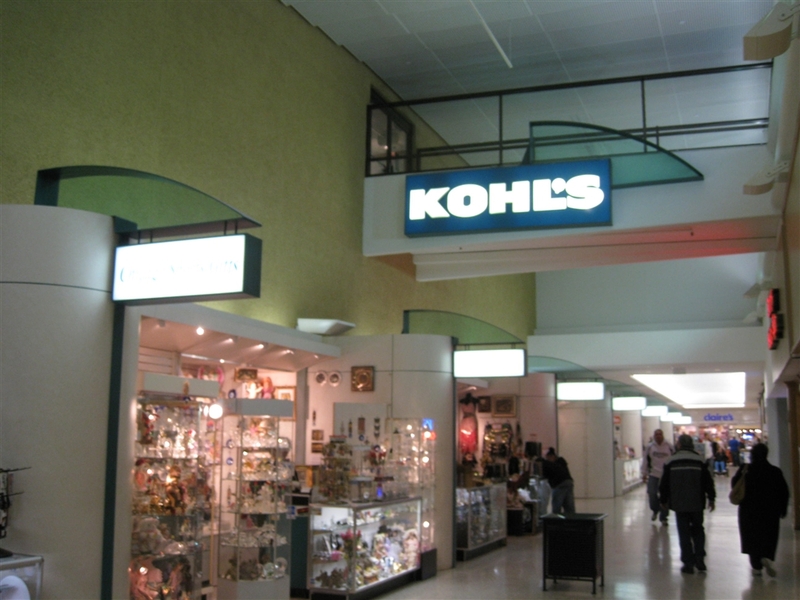 In 1987, MainStreet, a short-lived subsidiary of the Federated chain, opened a discount department store on the north end of the mall; this location became Kohls in 1988 when Kohls bought the MainStreet chain. Also in 1987-88, Carson’s replaced the Wieboldt’s as Wieboldt’s went out of business. The 1990s to the present have been a period of continued success for the enclosed center, with a few readjustments. 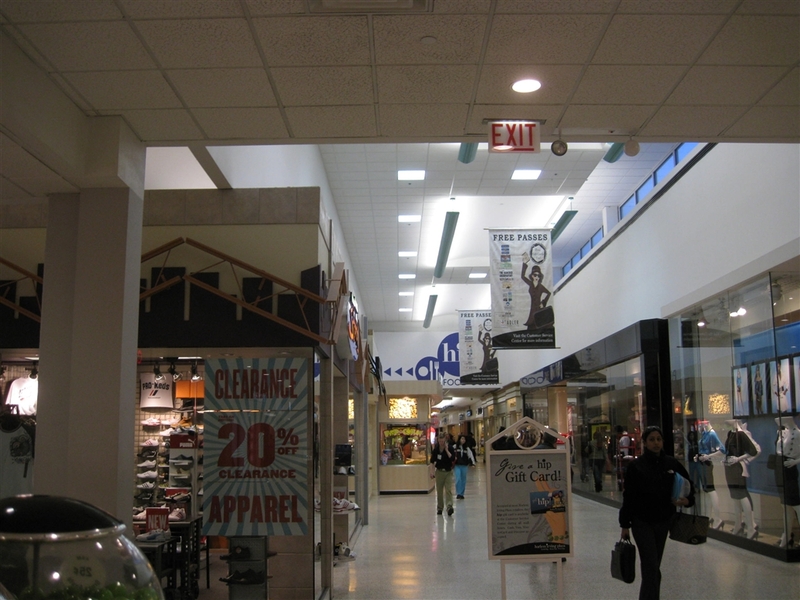 In 1996, a food court opened near the southern end of the mall, and Best Buy replaced Madigan’s. 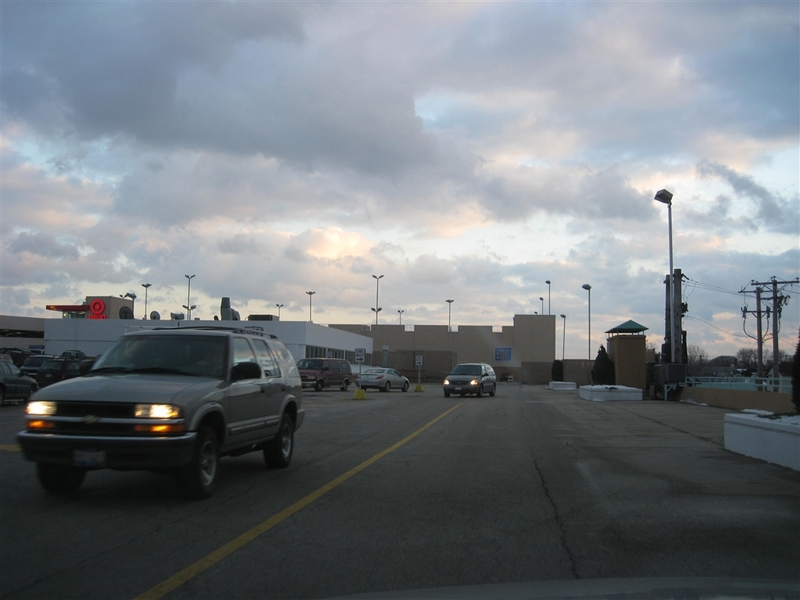 In 2001, the center was modified again with Best Buy relocating to the parking lot and a parking structure was built on the Best Buy site. 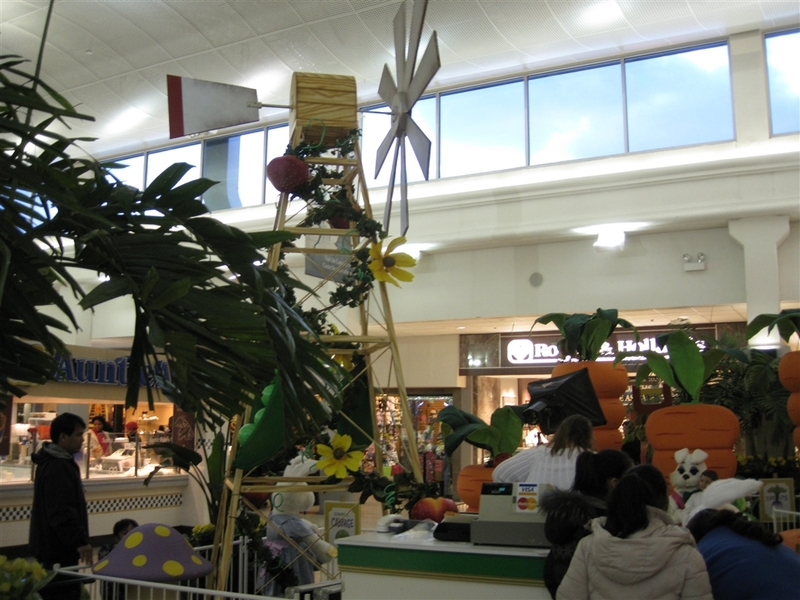 In 2004, a popular Target located at the north end of the mall near the food court. Some of the design elements make Harlem Irving Plaza very similar to other urban malls with smaller footprints like Queens Center in New York City. For one, the footprint of the center doesn’t allow for an expansive parking lot, so there are two free vertical structures to park in. Interestingly, the parking structures are above the mall and one can enter the mall from above at several spots from the parking structure. Also, the way Carson’s is situated at the mall allows the main corridor to go around it before it turns again and ends at Kohls. In the main corridor in front of Carson’s there isn’t enough space for full-size stores so a series of booths are set up along this length for retailers, and they’re all full. The demographics at Harlem Irving Center are also more characteristic of an urban center, rather than a far-flung suburban mall. 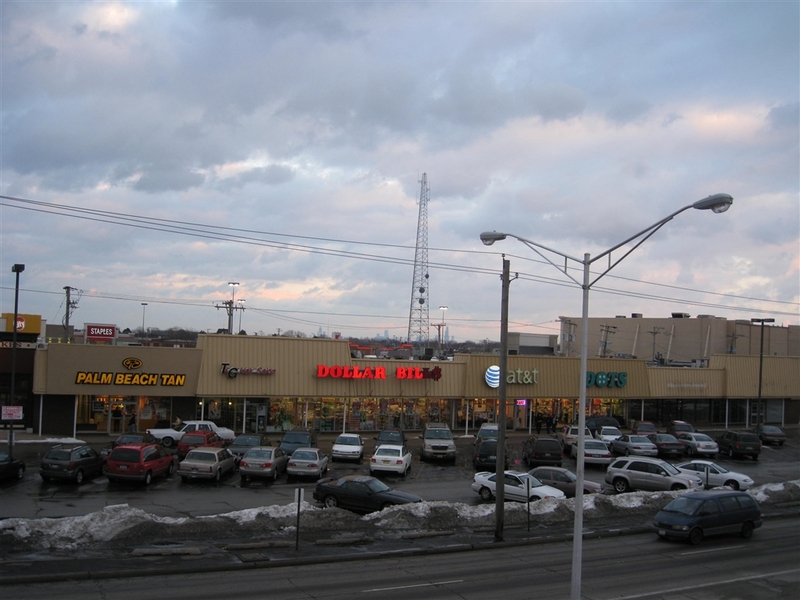 Because the mall is one of the closest malls to the entire northwest side of the city of Chicago, much of the clientele are recent immigrants and first-generation Americans, many of whom are of Latin-American and Eastern European heritage. 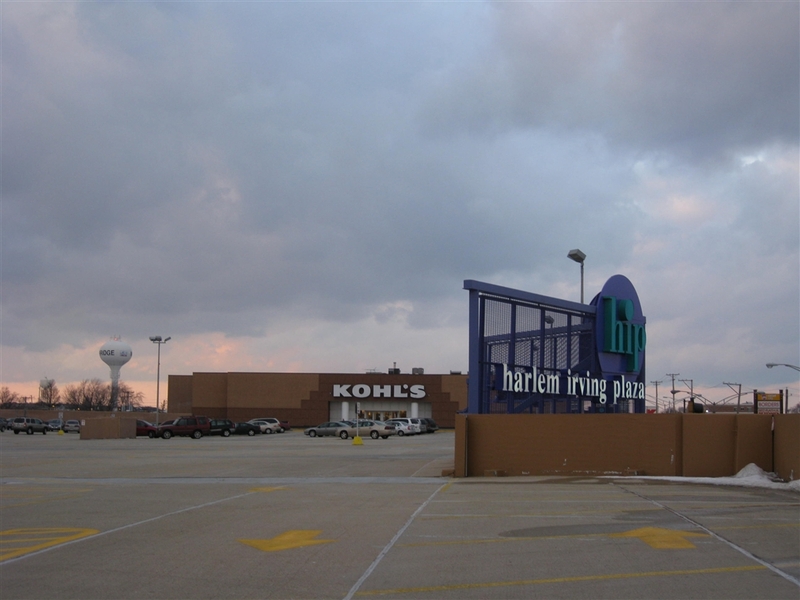 The mall is also close enough to more traditional, yet older, suburbs like Niles, Park Ridge, Des Plaines, and Schiller Park, but it’s not really clear that they shop here as well. Take a look at the photos of Harlem Irving Plaza and its vicinity, taken in Spring 2008. I’ve never seen Carson Pirie Scott refer to itself as “Carson’s” on a sign before. It’s usually “Carson Pirie Scott” or “Carson Pirie Scott & Co.” Not to mention the surviving ’80s logo on the Carson’s store itself. That’s pretty wild. I’m pretty sure the Streets of Woodfield Carson’s is signed that way too, possibly due to lack of space? The HIP is one of my favorite malls in the Chicagoland area. Mostly because it has a mix of the old vintage style of malls, the 2004 remodel adding bits of contemporary style. Admittedly it feels a bit more creepy when you get down towards that area where Kohl’s is, as it’s not as lively as the end towards the food court / Target anchor. I didn’t realize I forgot to go out to this mall this past Spring when I was down for that annual anime/manga convention. Not until I got home. Which kind of stunk because I always make note to stop here. The only thing done to that Carson’s signage (along with the signage at the North Riverside Mall location) was having the six-point hexagon symbol added in 1991 when Bergners and Carson’s merged. That marger also netted Boston Store’s use of the logo starting in 1992. There are a few others malls that Carson’s haven’t updated, Orland Square to name one. While the Bergner’s Hexa-flower is a simple elegent design. I think the old Herbergers’ Rose would be much cooler! Harlem Irving Plaza looks like a good mall with good middle class stores. I went to the website of the owners of Irving Plaza (Harlem Irving Companies); The mall will soon have a expansion. According to the website, the mall will have 130,000 ft of new store space. Hopefully the mall will look more modern. I think some skylights will brighten up the mall more and will look great. Expansion? How so? This mall’s literally landlocked. Harlem Ave on the east, Irving and Forest Preserve Rd. on the south, plus streets butting the west and north sides of the building. I’ll have to go look at their site and see what they’re planning. Either way, things are only looking up then for The HIP. It’s already survived (and thrived) over 50 years of business. The expansion will just assure it continues to thrive. Since I make it a regular stop on my yearly trek to Chicagoland, I’ll definitly be keeping tabs on this like I did with Yorktown Center’s lifestyle expansion (which, by the way, looks pretty neat. They blended the original mall and the expansion in seamlessly. Even has a bowling alley inside now). Also I like this mall how it appears as it does now. I like the more ‘subdued’ skylight style….windows around the perimeter rather than right on the roof. It allows natural light in, but in a diffused manner, so as to not be so blinding when you’re going from darker concourses into a large court area. Went and looked at their press release on their website. That expansion will all but really open up the Kohl’s end of the mall, which I put forth in my first post as being a bit creepy. Like I said, I’ll keep a watch on this one. I also saw the press release, checked out the development pipeline of projects as well. What an interesting development company , on the residential side. Matt: Perhaps HIP can add an additional level on top of the existing mall. The mall is expanding into an unused parking lot and a LaSalle Bank’s property. Thanks for profiling this mall, Prange Way. I’ve been to this mall before, and always thought this mall was interesting, though also strange since it isn’t 2 stories like many other malls are(but has a large enough 1-story footprint to make up for that). Haven’t been here real recently though, since a friend told me about small changes done to this mall, such as close the arcade inside this mall, and add a Panda Express. Do hope though I can revisit here soon enough, since I’m in this area every once in a while. Mike is right about this mall is soon going to expand north towards a parking lot and a LaSalle Bank building, since I recall reading that recently in one of the Chicago newspapers. I’d also be interested in knowing which Carson’s still have the older 1970s/80s(?) signage on them, since this is one of the few locations I can recall seeing it on(besides the former Lakehurst Mall location). As for Steven Swain’s question, the only time I see Carson Pirie Scott go by the Carson’s name is on their radio and TV ads. In addition, most people(including myself) call the store Carson’s for short, otherwise it still goes by the name Carson Pirie Scott. Kroger departed Chicago around 1970, but had been there sicne at least the 30s. Dominick’s bought their stores through two purchases; the latter one included the Northlake distribution center. Dominick’s bought about 70 stores, altogether, which was about 1/3 the number that Jewel or National had in the Chicago area at that time. One of the very last Chicago Kroger’s to open was on Broadway in Lakeview (it burned a few years ago, but had had a long life as a Dominick’s). Kroger did not make much of an investment in the Chicago area during the 60s and had only one or two SuperX drug stores (Super X stores accompanied most of their 1960s remodels or new builds). It would have been more typeical to find a Jewel and a National in a 1950s shopping center. I was looking for something related to Carson’s at HIP, and came upon Rich’s comment about Kroger and SuperX in the Chicagoland area. 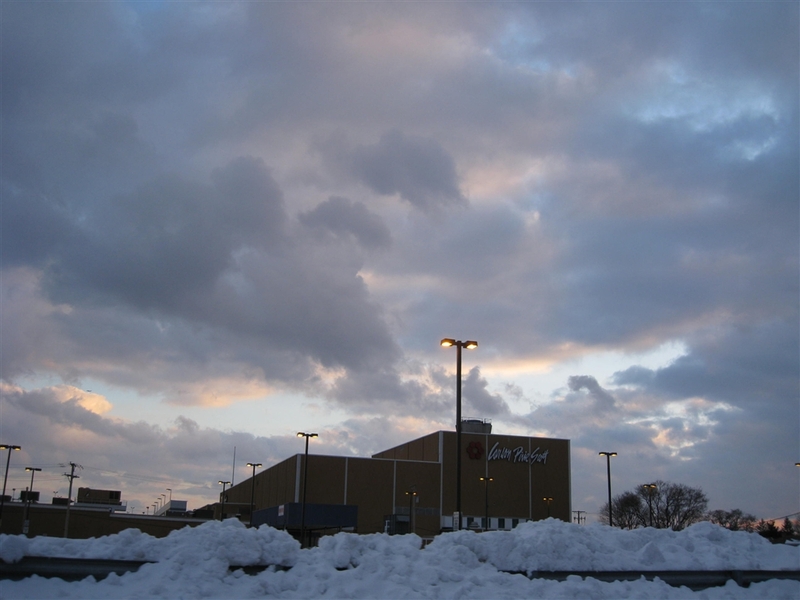 Kroger did continue to operate about a dozen or so Super X locations in Chicagoland after Kroger itself left the Chocago market during the 1970-1971 timeframe. Cumberland Ave at Higgins in Park Ridge next to a Dominick’s. The store eventually beame a Neighbor X Drug Store. Elgin on Summit St, next to a Dominick’s that became Dino’s Foods, and that store operated the longest in Chicagoland up until the mid 1990’s as Hook’s-Super X.
Aurora on the east side. That Super X remained open for a few years after Kroger left before closing. If I remember correctly, no replacement store ever moved into the Kroger store, it was kind of isolated on that side of town. Skokie had a Super X well into the 1980’s on Dempster. Bridgeport on Halsted St, also next to a Dominick’s. 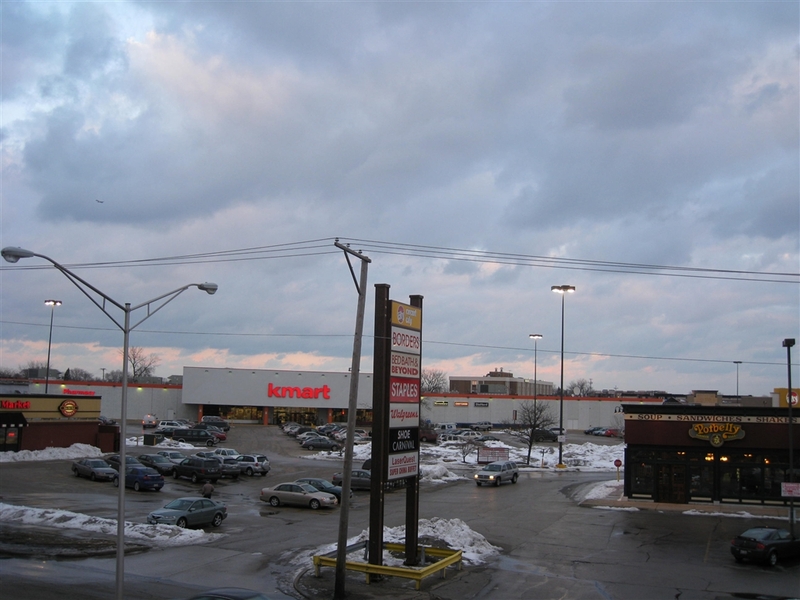 Joliet also had a Super X, again, next to a Dominick’s. I know I’m missing a few other Super X locations, especially on the north and northwest side of Chicago, but I can’t place them from memory. I do know that Kroger did not operate any Super X locations in Rockford, and that was before and after Kroger left Rockford the first time in 1971 Ironically, Kroger just sold it’s Rockford Hilander stores to Schnucks/Logli in September of 2011. I saw this mall and I want to visit it. !!! It was nice to see a modernized Kmart (wish they would remodel a few here in Iowa…naming the University Ave. location in Clive (Des Moines suburb) for an example). I know the malls here in Des Moines are nice, but there is soooooo much empty space downtown (well not as much as exaggerated) but if anyone is familiar with The Plaza Downtown area on Locust (and I think it’s 6th or 5th Av maybe?) and it’s nice on the outside but when you go in there’s nothing….barely anyways…it’s not to be a mall per se but there are spaces available and would be awesome to throw a few in there. FedEx Kinko’s occupies a space with both a mall and store entrance…and this plaza connects to the city’s skywalk system, which would increase traffic in the latter area. Starbucks would make a great addition…especially in the night hours. Sorry i’m rambling this was supposed to be about Chicago right lol? In reference to the style of the Carson’s sign, the location at Ford City is the same kind of sign. Wow, I have not been to the HIP in years. I spent my last 2 years of school living in the area. I did work in the HIP for a bit also. Swiss Colony was my 2nd job & I loved working in the mall. So convenient to be able to blow my while paycheck when on break! I distinctly remember Madigans and Woolworths. I wonder if the deli is still there? They had the best pickles. The deli is gone, Madigans was replaced by some stores (Limited/Express), the indoor walkway to Best Buy, and the parking lot between the mall and BB. This mall is still thriving, and the expansion will only make it better. From 1956-2003, Walgreen’s–complete with a soda fountain and lunch counter–stood where Target is now located. Kroger was where the north end of Target now stands as well as where the PNC Bank (formerly MidAmerica and National City Bank) is located. The Kroger became a Dominick’s circa 1970 and then moved to the old Harlem Irving Outdoor Theatre site after they left the HIP in 1976. Where the AT&T store is now opposite the food court originally was a landscaped outdoor plaza and park….so yes, there really was a Plaza at Harlem Irving Plaza. The plaza was replaced with the Plaza Bank drive-through and then a larger court — now the food court–was built around it. Wieboldt’s was the flagship department store until July 1986 when it closed. Carson’s moved in in 1987. Kohl’s replaced what was a stand-alone Howard Johnson’s restaurant in the 1960s and early 1970s. 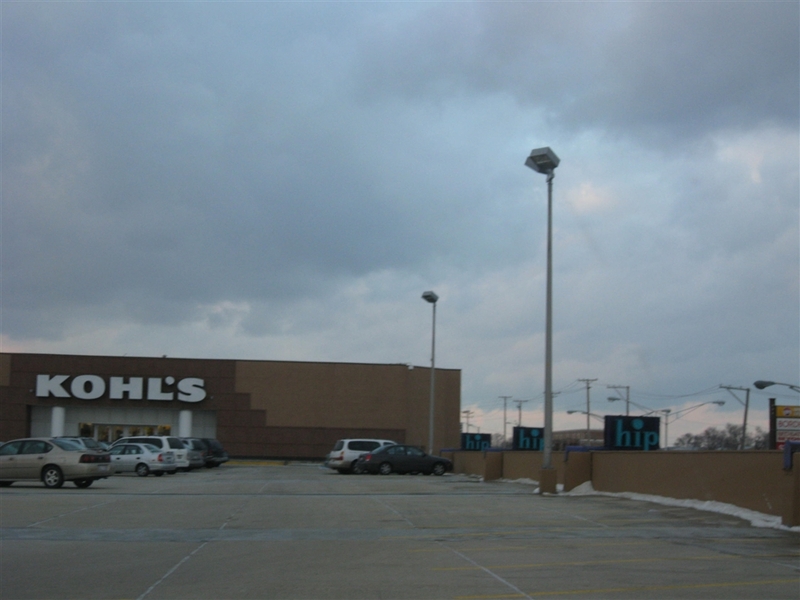 It became a Ground Round which was replaced by Main Street which became Kohl’s. The Kmart was indeed a former Venture location. It also was one of the first eight stores converted to the current post-Sears-acquisition format of Kmart that included Kenmore appliances and Craftsman hardware departments. Hence an early version of Kmart’s current logo, sans the big red K.
The next expansion of the HIP will include tearing down the former Bank of America building to the north. It was originally Unity Savings, then Talman Home, then LaSalle Talman and then LaSalle. While the mall is one of the oldest centers in the city, I have to say it has morphed more than any mall I know. HIP’s parent also owns Dunning Square at Narragansett and Irving Park; University Centre near the UIC campus, Best Buy on Clark near Diversey and others. Mayor Daley is friends with the family that runs the HIP, even though they take tax dollars to Norridge. what a great description of the hip from JIm, it is so as I remembered it. My parents lived in Norridge from 1960 untill the nineties. What a transition it has gone thru.I worked at woothworths when it was just a small outside strip mall.what memories. For a brief time in the 70’s, the Venture Store that morphed into K-Mart was another store…anyone remember what it was? @Bill, the store was Zayre. “Compare. You can’t do better than Zayre.” We got our first microwave oven from their. 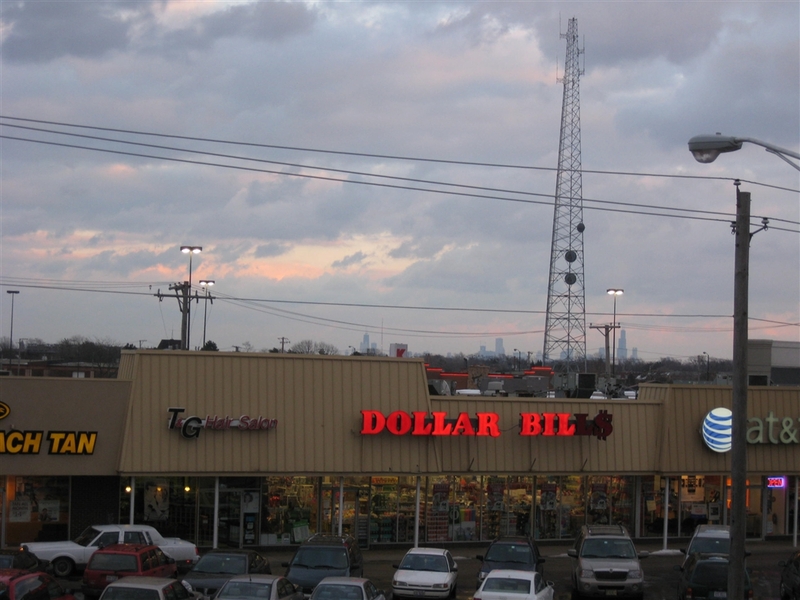 And BTW: The Kmart is across the street from the HIP. And I LOVE the fact that the HIP does NOT have a Starbucks, Panera, Corner Bakery, or any of the typical Yuppie stores found everywhere else. The starbucks is inside the target, so no need to build a second one. They’re planning on putting a Panera in the new expansion, along with a Chipotle. There’s also a Potbelly’s across the street, which always seemed kind of yuppie-ish to me. I have over 20 yrs. of retail experience, yet I was not suitable for your store. My grandfather worked at Sears for 33 yrs., my father, mother and cousin worked for Sears at one time or another. Yet, K-mart does not think the I an SUITABLE TO WORK FOR K-MART. If the manager wants to reach me about coming in, let me know. Just another comment about the “Carson’s”-only name on the front of HIP. 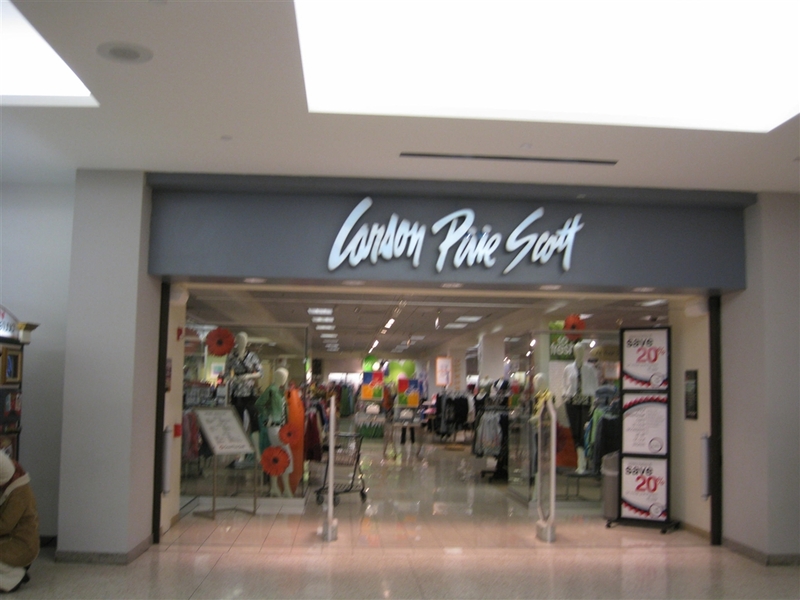 Just recently, Bon-Ton has shortened the Carson Pirie Scott name to “Carson’s”. This move conincides with the change of nameplate of several Elder-Beerman locations in Indiana, Michigan, and two locations in downstate Mattoon and Danville to just “Carson’s”. 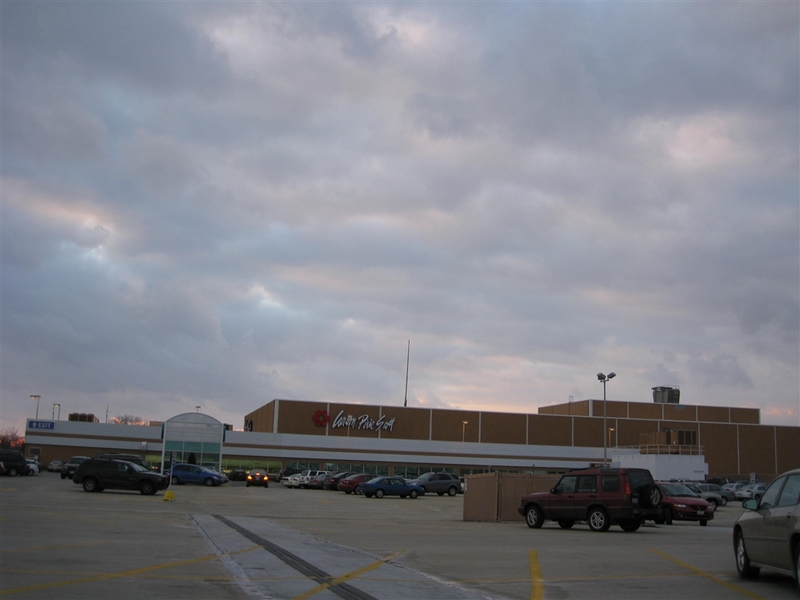 Some years ago, what was then a new format store opened as Elder-Beerman in Dekalb, and shortly after Bon-Ton’s acquisition of the NSDG stores from Saks, that location was re-branded as Carson Pirie Scott. Also, both Danville and Mattoon were former P.A. Bergner & Company markets. Bergner’s had left both of those cities during the early 1980’s. In the very near future, the remaining P.A. Bergner & Co. (Bergner’s) locations (all in Illinois) will also be re-named as Carson’s, including the Peoria, Rockford and Springfield markets. Basically, Bon-Ton will be running with five nameplates, Carson’s, Boston Store, Herberger’s, Younkers, and Bon-Ton, with P.A. Bergner, Elder-Beerman and Parisian phased out. Frankly, I wouldn’t be surprised if both the Boston Store and/or Younkers nameplates are phased out, and split between Carson’s and Herberger’s. Bon-Ton will not switch the Minnesota stores to Carson’s. Carson’s already died once in Minnesota (except for one store in Rochester that eventually became Herberger’s). They won’t bring the Carson’s name North of the IL / WI line. It’s not a recognizable name to those of us natives. Though nor was Younkers when they took over the entire Prange’s chain, though people eventually (albeit, begrudgingly) got used to it over the years. While nowhere near the likes of Marshall Field & Co of Chicago, lots of folks in this part of the state where I live were, at first, quite against the change in name and merchandise mix. The more likely scenario I see will probably be phasing out of the Younkers banner and a re-brand of all WI stores (sans those in LaCrosse and Rice Lake…..I would not be shocked if those close….they’re currently the two remaining Herbergers locations in the state, and are rather small stores) to the Boston Store monkier. They’ve already begun doing this a couple years ago with both Sheboygan area locations (one a former Pranges / Younkers, the other formerly E-B), as well as West Bend (another former E-B) and Beaver Dam (a former Herbergers). They will probably continue this trend as store leases at other locations (all in enclosed malls, sans Sturgeon Bay’s location) come up for renewal and they roll out the new graphics and remodel stores where its needed. I agree, I don’t see Carson’s moving too far north into Wisconsin, with the possible exception of the Elder-Berman store in Beloit, which coinicidentally is at the same site of the Chas. V. Weise store, later to become Bergner-Weise, and then Bergner’s before closing in 1992 during P.A. Bergner & Co’s first bankruptcy. Why Beloit Elder-Beerman to Carson’s instead of Boston Store? Because Beloit is part of the Rockford media market, and most people in Beloit come over the state line down to Rockford for shopping, and not up to Madison. One could make the argument that the nearby Janesville Boston Store has had modest success after changing it’s name from Chas. V. Weise, Bergner-Weise and then Bergner’s before becoming Boston Store. 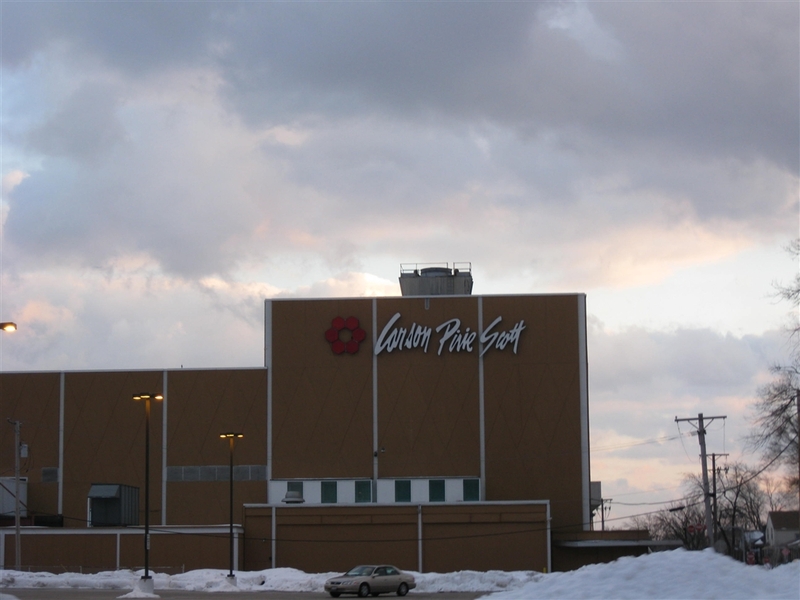 Janesville however is part of the Madison media market where two Younkers stores also were converted to Boston Store. One of the first conversions in Wisconsin of Elder-Beerman was in Green Bay where the Elder-Beerman store was closed for a short time and re-opened as a Younkers furniture gallery. Also, the Elder-Beerman in Plover was converted to Younkers, and filled a “hole” between the very small Younkers and former H.C. Prange store in Wisconsin Rapids and the location in Wausau. As far as Rice Lake and LaCrosse, I don’t see those locations closing. Even though they may be “small” square footage-wise, similar to Wisconsin Rapids, they are not as costly to run and operate, and require much less sales volume for continued profitability. LaCrosse would make sense to go Younkers, as it’s technically within the Eau Claire media market. I can’t remember which media market covers Rice Lake. I also see the two stores in Duluth and Superior becoming Herberger’s. Ironically, Herberger’s has performed very well (especially in this down retail environment) in the Twin Cities, primarily because of shopper distaste with Dayton’s/Marshall Field’s becoming Macy’s. Even though people in Chicago have complained loudly, the quiet Minnesotan’s usually don’t raise much of a stink, they just take their business elsewhere, and Herberger’s has been rewarded very nicely. Can anyone remember the name of the BEEF STAND kitty corner from HIP on the corner of Harlem and Irving. They tore it down and put in a gas station. The BEEF STAND was on the south east corner. Please let me know the name of that BEEF STAND. After researching with a couple area historians they mentioned the name Yankee Doodle Dandy…but I believe that was where the Arbys now Wendys stands just south of Harlem/Irving intersection. Hope that helped.